VALLEJO, Calif. -- Two Oakland men allegedly snatched a 3-month-old infant from his grandfather in Vallejo Friday afternoon, according to police. The kidnapping was reported at 3:41 p.m. Friday, when suspect John Brumfield allegedly went to a home in the 100 block of Boysen Street and forcibly took the infant, police said. Brumfield then allegedly handed the child to a second suspect, Michael Jones, and the two fled the area in a vehicle, police said. 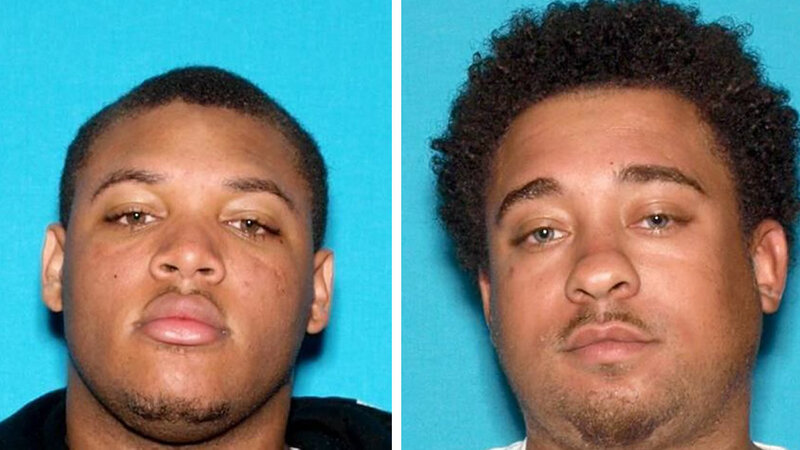 Police were able to track Brumfield and Jones to Oakland, where they located them walking to a Greyhound bus station in the area of 21st Street and San Pablo Street around 7:15 p.m. Both were arrested on suspicion of conspiracy and kidnapping. The child was returned to his mother unharmed, police said. Police said Brumfield was dating the child's mother, but it is not clear if he is the father of the child. The motive for the kidnapping remains unknown at this time. Anyone with information on this case is asked to call Detective Rob Greenberg at (707) 648-4280.